Sergeant Adam Holcomb was acquitted of negligent homicide and harassment on July 31, 2012 but found guilty of maltreatment and assault. He was sentenced to only 30 days in jail, but will remain in the service. He will also forfeit $1,181.55 in pay and have his rank reduced from sergeant to specialist. 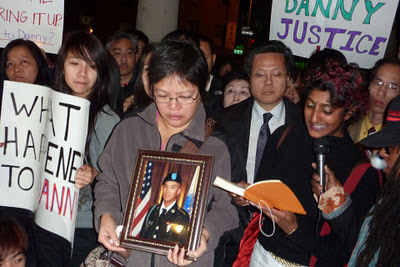 He still faces up to two years in prison for assault due to his involvement in the events that led Private Danny Chen to commit suicide on October 3, 2011. 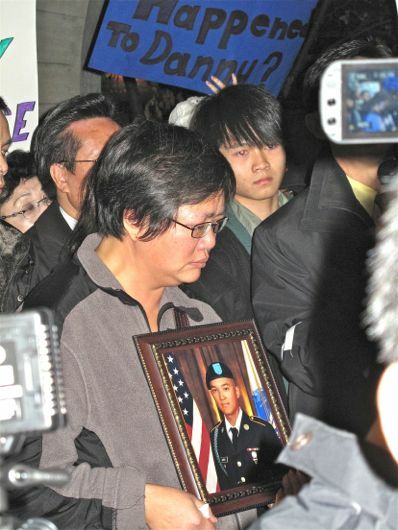 Seven other soldiers involved in the suicide of Danny Chen await court martial. This upsets me because Holcomb got off lightly when he really deserved much worse. It seems that he and his family could care less about Chen even though Holcomb found his suicide “sad”. Less physically imposing people and Asian Americans have their strengths also, so I really hope he gets what he truly deserves someday because it seems that they don’t have any remorse for what has happened. I was picked on and bullied from elementary school to high school. I remember those days were very difficult to get through because there is no one who will stand up for you. You always wonder why no one will help you. It feels bleak and you just want to make the pain go away by any means necessary. People say you have to stand up for yourself, but sometimes, it doesn’t work and things may get worse. I can understand why Private Chen did the things he did because it’s a shortcut to rid of the pain. Suicide is never the answer as it often leads to a bad ripple effect. I am angry by this because it proves that racism still exists loud and clear, and the verdict from the court martial actually encourages it because the racist will simply get a slap on the wrist for such an act. From what I have heard from a friend who served in the army, stories that involve physically weaker individuals being bullied in the midst of training happen but this does not mean that we should let this continue. The soldiers and the high-ranking officials should be held accountable for their actions. What happened with Private Chen crossed the line. 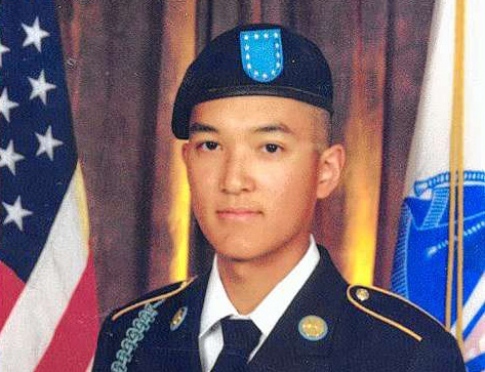 Private Danny Chen wanted to serve his country. That is an admirable goal and something I most certainly respect. If you join the army, you are not afraid to sacrifice for this country. You sacrifice your time away from family and friends, from being comfortable in working a job, and having a successful career. You sacrifice your own life if circumstances came down to it for the greater good of this country. However, Private Chen did not get the opportunity to do that. Danny ended up being harassed and bullied by his fellow soldiers. The soldiers mistreated him, forced him out of bed, threatened him to crawl like a dog, subject to racial slurs, and tortured him because of his race. Danny couldn’t take it anymore and took his own life at the age of 19. It is sad that bullying led to a less than honorable ending. I’m sure that Danny Chen would have wanted nothing less than a hero’s sacrifice if it came down to it, but it’s very horrible that he ended up taking his own life because of the given circumstances. People who die from taking their own life rather than dying on the field for a good cause are two completely different things. Danny Chen had his whole life ahead of him and there was so much more that he could have accomplished if it had not been for the suicide. He had so much potential that will never be realized now and that is a damn shame. I sympathize for his parents because they had to bury their own son. No family ever wants to do that. I pray that they can move on from this and witness justice served. They are the real victims here. Asians are always the skategoats. I was demoted 2 levels in a public agency, because my previous manager bad mouthed me. He’s a white trash who came from private. People like him learned our way of business, then taking credit, then lie their way up. They will say:’under my leadership, I get things done’, while the asians were the ones who did the work. This is true everywhere in USA, from my observation in my 30 years in this country. You will realize this only when your friends, family or maybe when youself been targeted …..